Denton Sanatorium: Who's Knocking At Our Door? Who's Knocking At Our Door? 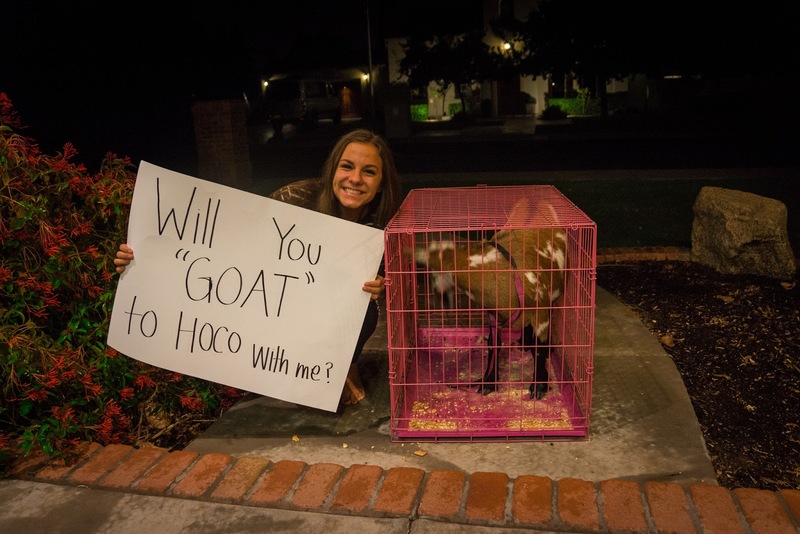 The creativity factor for Homecoming invitations rose this year. 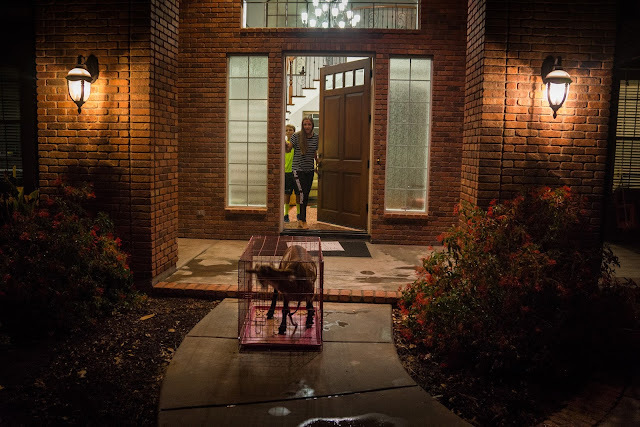 Our doorbell rang one night, and you will never guess what was there. I know I would never guess this one. No. That's not a dog in that dog crate. My favorite part of this invitation was the other side of the sign. "PLZ return the goat." Liking keeping him was an option . . .
Lily laughed and laughed and answered Bradley immediately. After a quick run to Walmart for Lucky Charms, she and Brad loaded the goat into the truck with another sign: "You're Lucky you Charmed me into going to HoCo with you. That's not a BAAAAAD idea!" Pretty quick on the answer (and on the goat turnaround . . .). Bradley is a friend from her old high school, and she is excited to see her friends at the dance in October. A week later, the doorbell rang again. This time Lily was at work, and I kept anxiously texting her to get home. She giggled as she tried combinations and ate Hershey's kisses. Cute and quick and with a little effort, she figured out it was Jared asking her to Heritage's Homecoming this month. She's working on an answer for this one--hopefully before the week is over. 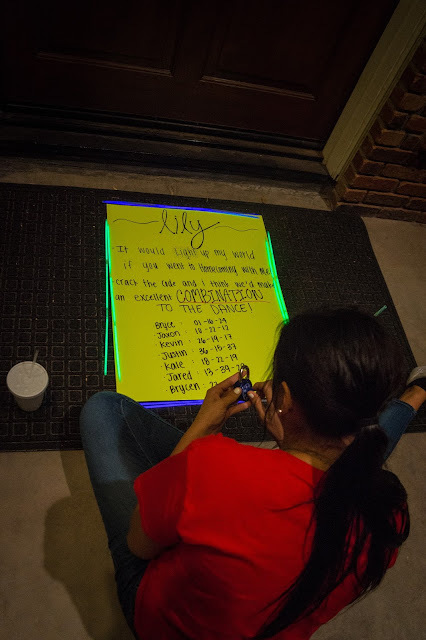 I love the creativity behind these invitations--nothing expensive, but that little bit of effort makes the person being asked feel so special! Now to find dresses for two dances . . . I can't believe how creative these kids are! Such cute invites!! !